Founded in 1882, Zodiac has a long tradition in the production of diver watches. 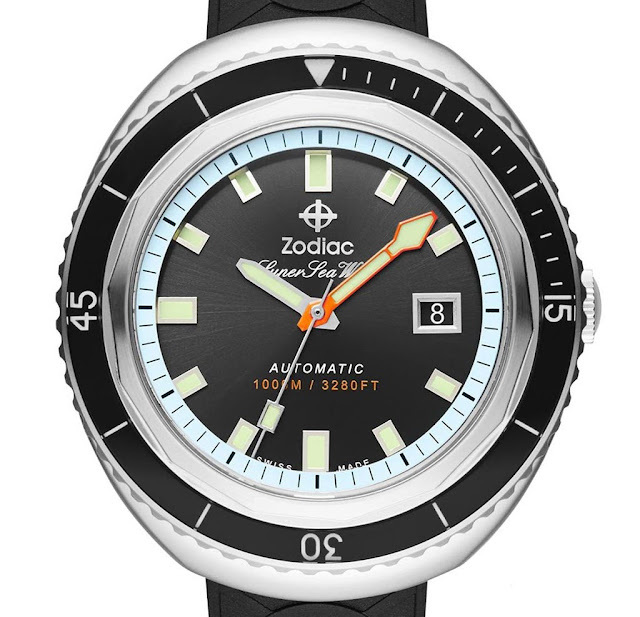 The Sea Wolf model launched in 1953 was one of the first diver watches available to a large public and few years later Zodiac presented the Super Sea Wolf which, thanks to a patented crown/stem system and improved case design, achieved water resistance to 750 metres, an absolutely remarkable feat at that time. 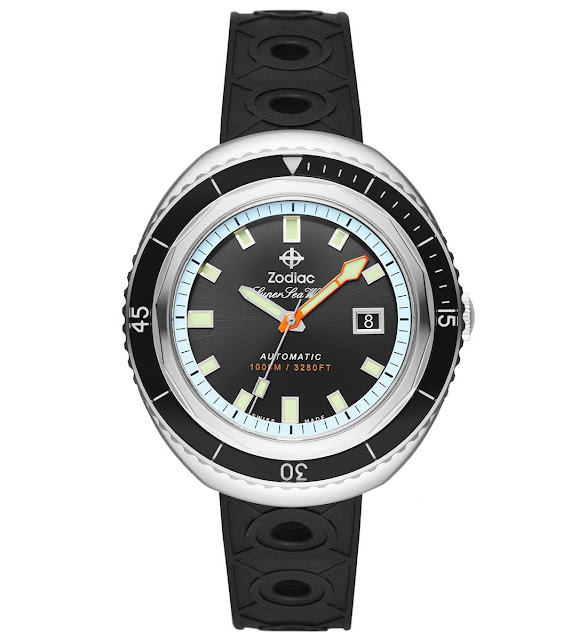 Zodiac has now introduced the Super Sea Wolf 68 Extreme collection whose design is not inspired to the original Super Sea Wolf of the Fifties but to the model of the Seventies. The stainless steel case of the new model has a tonneau shape and it is 44 mm wide, 50 mm long and 17 mm thick. The 60-click unidirectional bezel features a safety system which requires you press down the bezel to start rotating it. The polished black dial offers excellent legibility with large applied hour markers and typical hands, all richly treated with luminescent material. The minute hand is orange-coloured, a feature that can be often found in professional diver watches and that, in this case, gives a nice touch to the dial. Equipped with Fossil's in-house STP1-11 automatic movement (similar to the ETA 2824) beating at 28,800 vph with a power reserve of 46 hours, the Zodiac Super Sea Wolf 68 Extreme offers water resistance to 100 ATM (1000 metres / 3300 feet) and it is available in three versions. Reference ZO9501 features a black sunburst dial with a light blue rehaut completed by a rubber divers strap with portholes. The retail price is US$ 1,395. 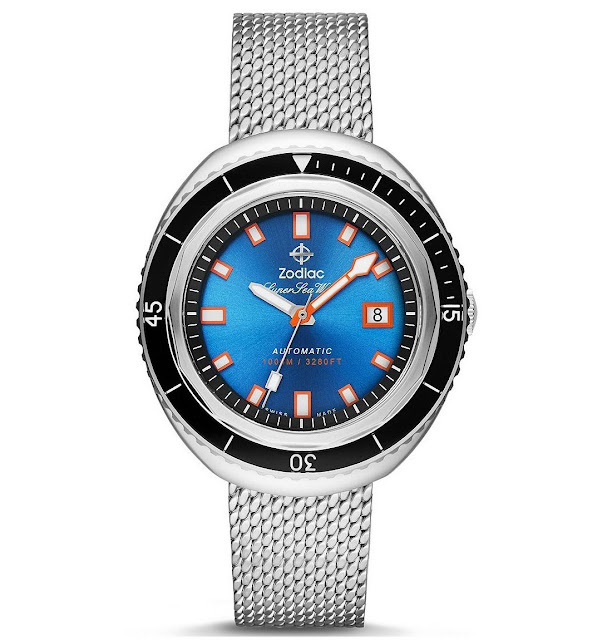 Reference ZO9502 is characterized by a sunburst electric blue dial with a black rehaut. It is matched to a steel mesh bracelet. Price: US$ 1,595. 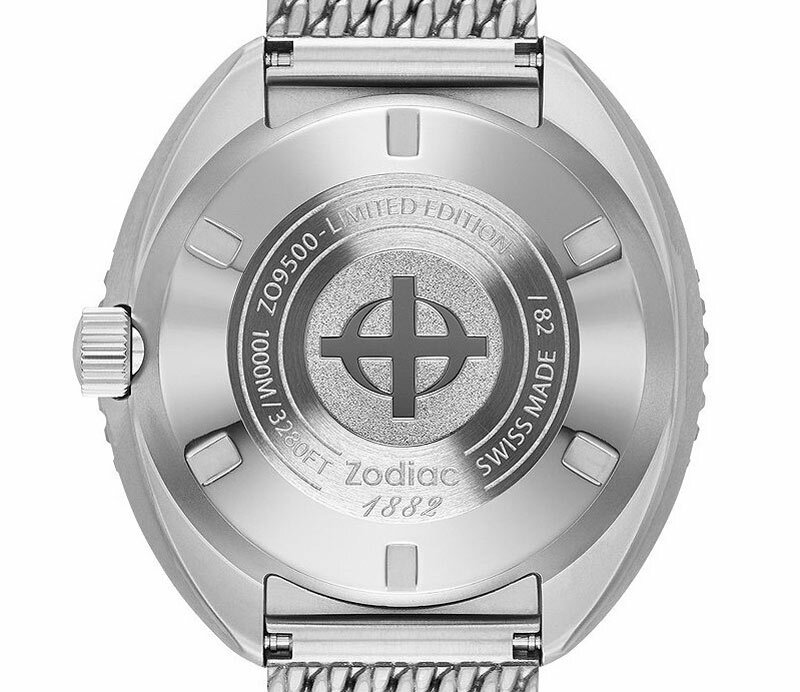 The third one, reference ZO9500, is a limited edition of 82 pieces with the individual number engraved on the caseback. Nice diver. Like the vintage look and… the price. Zodiac Super Sea Wolf 68 Extreme. 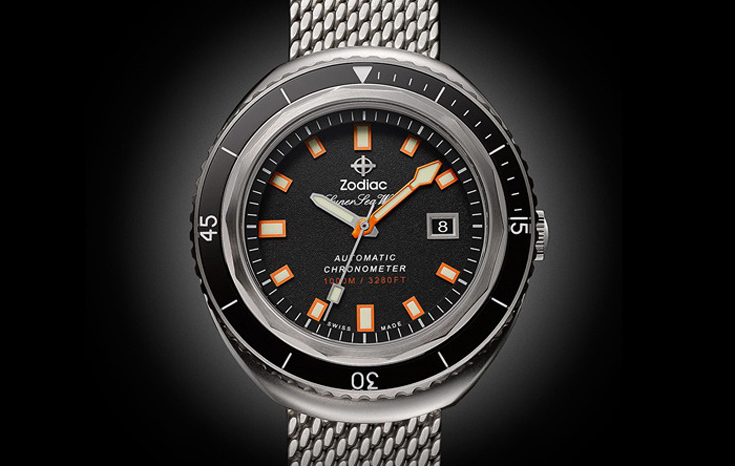 Founded in 1882, Zodiac has a long tradition in the production of diver watches. Zodiac has now introduced the Super Sea Wolf 68 Extreme collection whose design is not inspired to the original Super Sea Wolf of the Fifties but to the model of the Seventies. Reference ZO9501 price US$ 1,395. Reference ZO9502 price US$ 1,595. 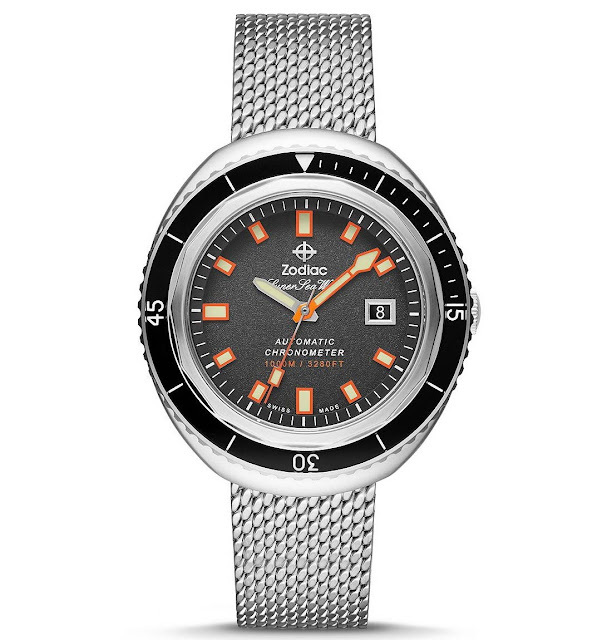 Reference ZO9500 Limited Edition price US$ 1,995.